Backup for virtual servers changed the game for data protection. You&apos;ll find all our resources on backup for virtual servers here, including news, tutorials and expert advice on VMware backup tools such as VMware Consolidated Backup (VCB), VMware Data Recovery Manager and vSphere. You&apos;ll also find information on Microsoft Hyper V and Citrix Xen backup. This section also offers information about third-party virtual server data backup and recovery tools from companies such as Veeam Software and traditional backup players such as Veritas, Dell EMC, IBM and Commvault. 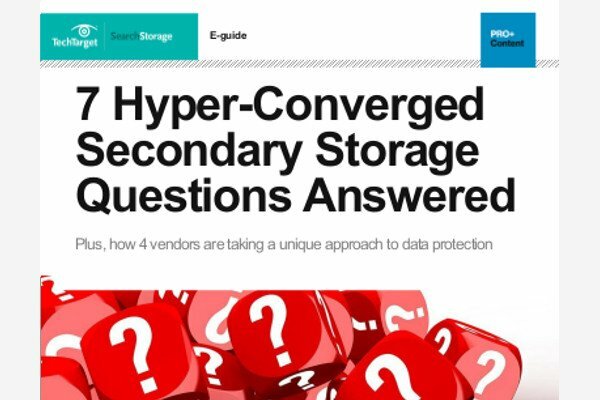 You can also learn how data backup software vendors are responding to the challenges associated with backup for virtual servers. Bookmark our backup for virtual servers page and check back frequently for the latest tips and podcasts on backing up virtual servers.